Discontinued . 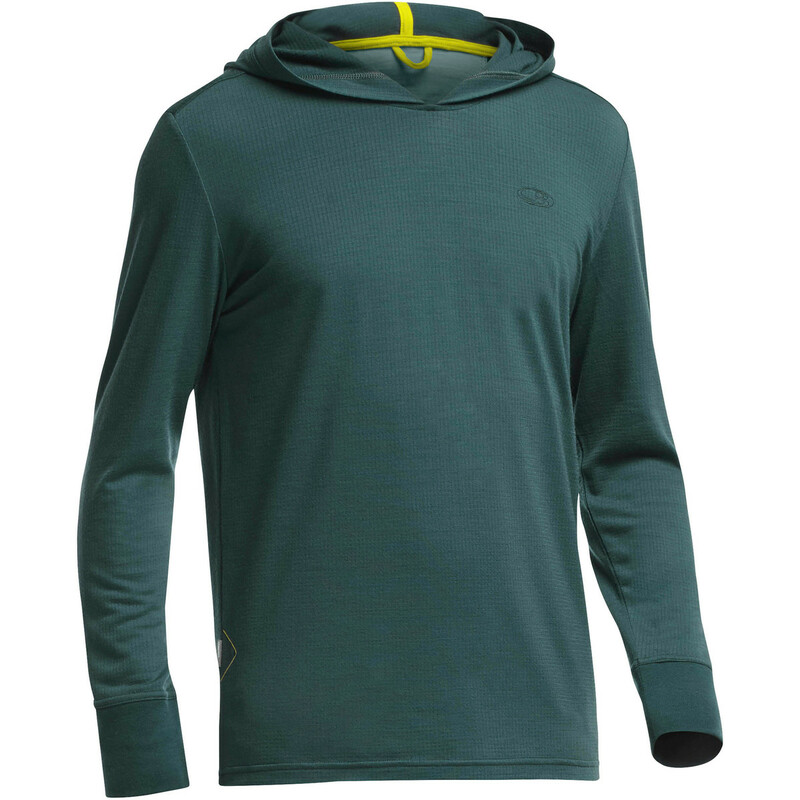 A sleek alternative to a sweatshirt, Icebreakerand#39;s Drifter henley shirt oozes with next-to-skin softness thanks to odor-resistant and itch-free merino wool. Available Colors: FOSSIL, FOSSIL/HEAT, BLACK, PINE/CHARTREUSE. Sizes: S, M, L, XL, 2XL. 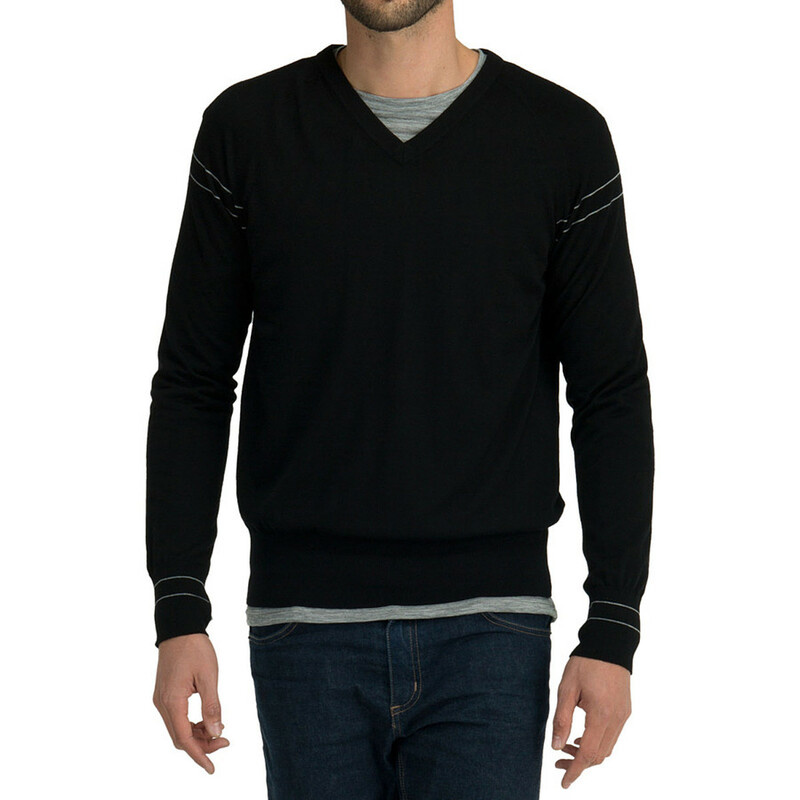 Casual Henley style gets a boost with the warmth, softness, and natural odor resistance of a merino wool/polyester blend. Go ahead and layer it up!. . 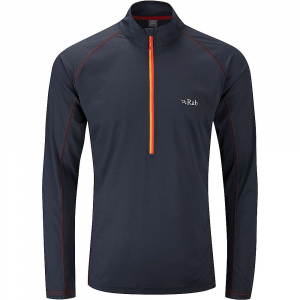 . . Lightweight midlayer with a waffle look: 240 g rib stop textured jersey of merino wool and polyester. 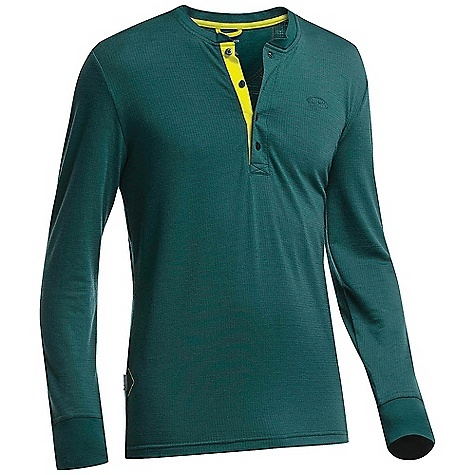 Merino wool regulates temperature to keep you warm when it's cool and cool when it's warm. 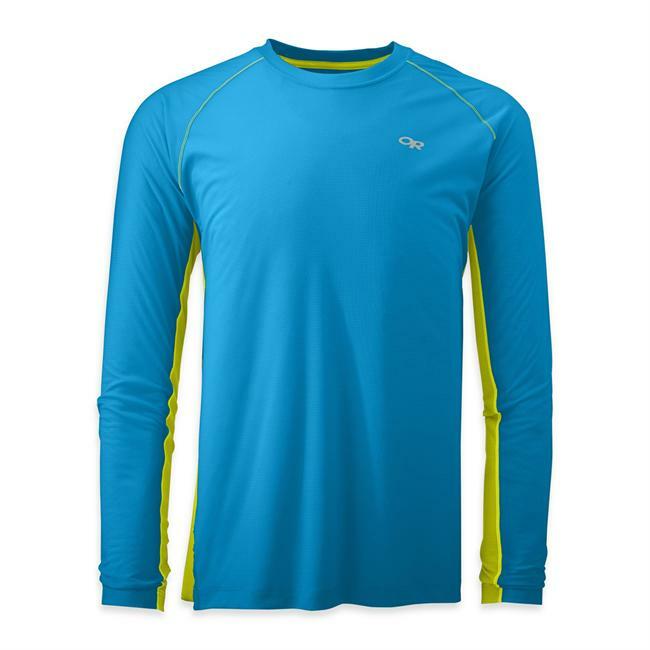 Soft, highly breathable merino fibers keep you dry and comfortable, and prevent overheating. Naturally odor resistant-can be worn for days without washing, making it ideal for travel. 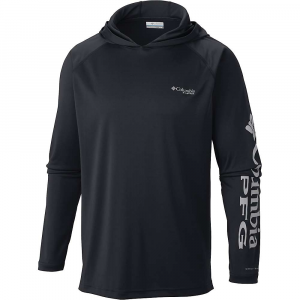 Layer over base layers and lightweight layers for colder temps. Set-in sleeves. Henley style with 4 buttons. Drop-tail hem for added coverage. Flat knit 1x1 cuffs. Icebreaker tonal embroidered logo and pip label. Regular fit. 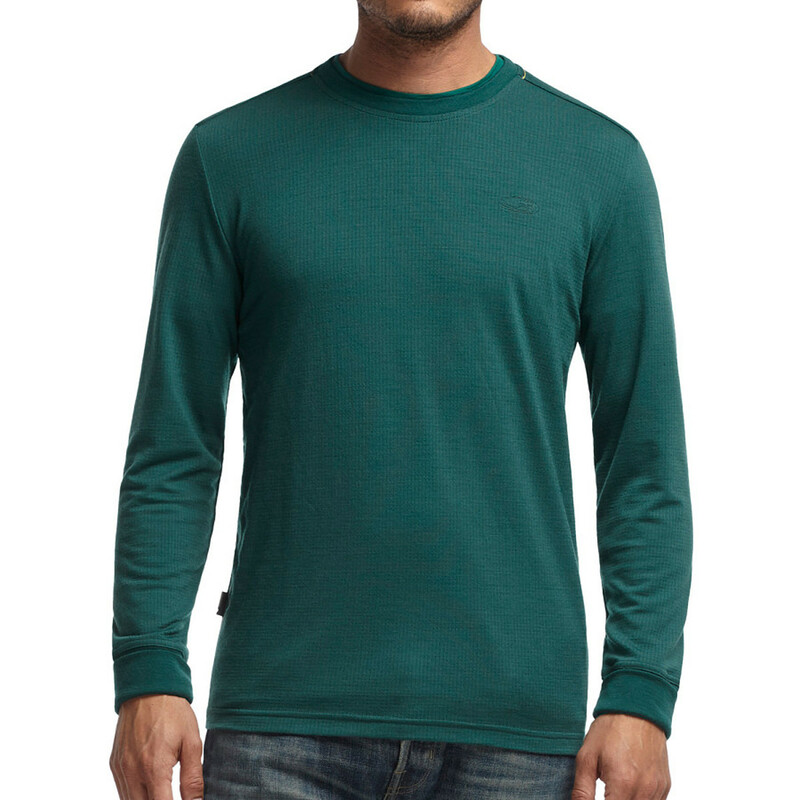 The Icebreaker Drifter Long Sleeve Henley is not available from the stores we monitor. It was last seen January 1, 2016	at Sierra.